Before we start with this kigo, did you know that the biggest insect of them all is the "naked insect" hadakamushi 裸虫, the human being ! Hadaka mushi, literally "naked bug," refers to a critter that lacks wings or legs: a worm, a slug, or the like. Metaphorically, it can also refer to a poor person without clothes; Kogo dai jiten (Shogakukan 1983) 1325. Insects in this context are the ones that make a lot of noise in autumn, like crickets and cicadas. This kigo is usually used in the plural meaning.
. mushikago - cages for insects - introduction . 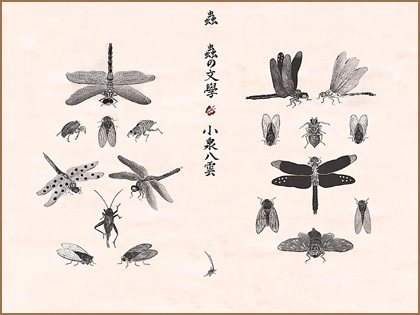 "Poetry competition of the Insects"
.. see kirigirisu for the naming of the time of Basho. 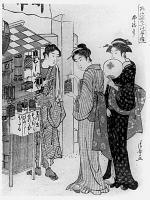 When courting the male sounds like SUIII-TCHO スイーッチョ, the sound children used to make when chasing horses in the Edo period. The sound was perceived as melancholic and full of sorrow.
. kutsuwamushi katyd - haiku . 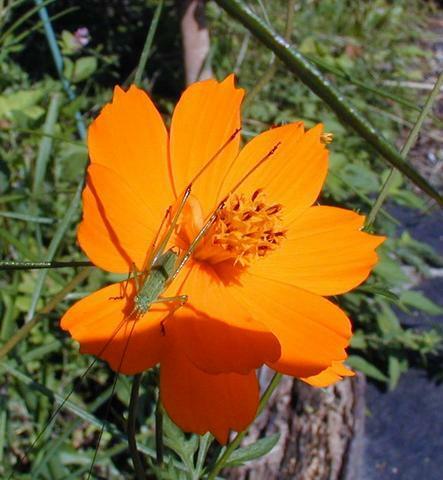 In the days of Basho, kirigirisu meant today's "koorogi": a cricket, Grylloidea. CLICK here to read more about the mating habits of these animals and look at some photos which I managed to take ... !!
. comments by Chris Drake . ..... kamauma かまどうま "horse of the hearth"
..... kamadomushi かまどむし"insect of the hearth"
This animal likes to live in the kitchen, especially of old farmhouses. After their great time in autumn, many insects still chirp, but their voices are getting more quiet, hoars and their song will soon be over. As a kigo, this brings a melancholic background to a haiku. After a hot and muggy Summer in Japan, Autumn begins in September. 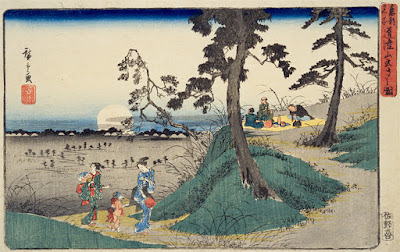 Many Japanese appreciate the Mid-autumn Full Moon, which is said to be the most beautiful full moon, and love to hear the chirps of crickets and grasshoppers. 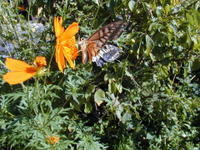 On a dark night in September, when I hear the fine song of insects in a garden, I feel Nature very close and intimate. The chirps remind me of a song that we used to sing in a music lesson in my school, " Matsu-mushi began to chirp, chin-chiro chin-chiro, chin-chiro rin, ah Suzu-mushi began to chirp, rin-rin rin-rin riiin-rin". Matsu-mushi and Suzu-mushi are kinds of crickets, their names are familiar as singing insects in Japan. When I sang the song when I was seven or eight years old, I didn't know what they looked like, but I had a friendly feeling towards the chirps. When I was twelve years old, my grandmother was given Suzu-mushi by her friend and she enjoyed hearing the beautiful chirps every night in her room. I was in charge of taking care of them. While I replaced the old food (cucumber, egg plant or water melon), splayed misty water to make the soil wet, I watched the insects and the system of their chirps. Males only made a sound by rubbing thier wings to attract females. Since the old days, people have loved to hear songs of insects and many traditional poets have composed poems about them. Even now, people can buy Suzu-mushi at a pet shop to hear their songs. I've heard that this custom is a peculiar to Oriental culture, what do you think ? I know the Aesop story titled "the grasshopper and the ants". 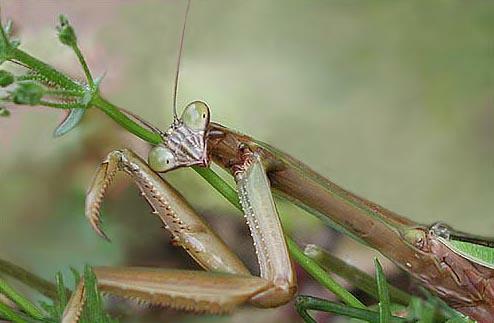 In that story, the grasshopper plays music, so I think Western people consider chirps as music. Do you agree ? Look at an amazing photo here ! 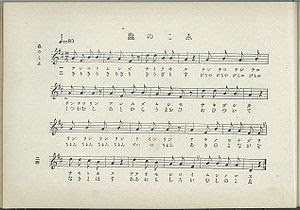 Official School Song from 1932. They sing all through the long autun night! How interesting all these voices of insects! How interesting, all these voices of insects! In many countries, other kinds of crickets are chirping and singing in other seasons. Mostly in spring and summer they are already doing their part to bring joy to the listeners. We will try and list some here. List of common singing and fighting crickets in China. 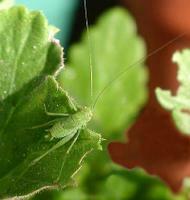 The cricket has also served as a watchdog in China and other Asian countries for generations. At any sign of danger, the chirping will stop. Native to Europe, but quite an endangered species now. They prefer dry, sunny locations with short vegetation. The males make a burrow with a platform at the entrance from which they attract females with their "song." They are often found from May to August when the males sit at the mouths of their burrows and sing day and night. is the luckiest thing of all." Crickets cannot be a kigo since they are there all year round. However, it greatly depends with the surroundings; for instance, they are not very much available in places where concrete buildings abound, but they are available at dusk in quiet natural places with trees and grass. 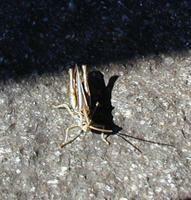 Here's a link to our Kentucky-style Field Crickets. We say about crickets that they "chirp" (стрекочут - strekochut: streh-koh-choot). We also say that they sing (поют - poyut: poh-yoot). If we want to say how they do it, we would probably choose the sound "цвирк-цвирк-цвирк" - tsvirk-tsvirk-tsvirk. We say about flies and bees that they "жужжат" - "zhuzhzhat" -zhoozh-zhut (buzz). The sound "zh" is approximately the sound you hear in the middle of the words "pleasure" and "measure" (and thus my name does not start with the sound "z" :). When we want to show the sound they make, we use "zh-zh-zh" - "ж-ж-ж"
"натянутая обстановка в офисе" ? Критическим замечаниям по переводам буду рада. Кто может ещё подсказать, какие звуки издают насекомые? The long-horned grasshopper alias [predatory] bush cricket alias katydid. These insects are basic food for the [famous] yemeni veiled chameleon. The Japanese have a long tradition of enjoying the calls of various Orthoptera, both in the wild and as caged pets (Lafcadio Hern, 1905, Exotics and Retrospectives, Little, Brown and Co., Boston). These customs have been popular with both the Japanese Court, which probably introduced some of the customs from China, and with the common people. Visiting places, known for the abundance and high quality of their singing insects, was one of the seasonal pleasures, such as cherry blossom and autumn leaf viewing. 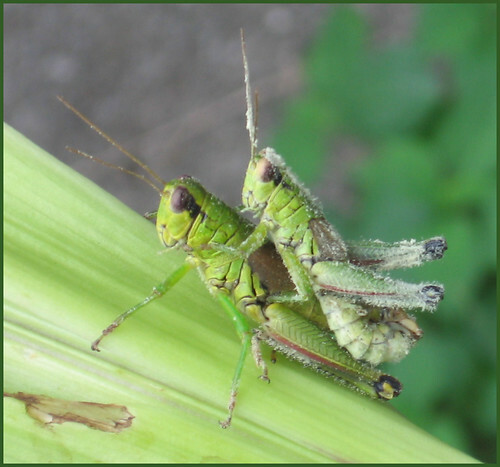 Although many of these customs have been lost or simplified with Japan's modernization, there remains a fondness for the "cries" of certain species of crickets (Gryllidae) and long-horned grasshoppers (Tettigonidae). The following illustrations and notes show various aspects of Japan's cricket culture. "The cricket cage peddlar", Kiyonaga, ca. late 1700s, (courtesy of The Art Institute of Chicago). Cricket sellers were members of an organized guild recognized by the checkerboard motif used on the cloth of their stands and kimonos. These mobile merchants sold diverse and beautifully crafted cages, including ones that resembled fans, boats and country cottages, to house the singing insects. The singing insects of commerce were both reared and collected from the wild. Cricket cage made of twigs, wire and the sheath of a bamboo shoot, ca. 1950 (courtesy of Kyushu-Tokai Univ.). This wire mesh type of cage was used for smaller crickets. The finely crafted cages of the past are now rarely made; most modern cages are clear plastic terrariums with ventilated tops. These terrariums are sold to keep and rear a few species of singing Orthoptera (mainly the bell insect, Homoeogryllus japonicus de Haan), which are also sold along with specially packaged bell insect food and soil in pet shops. A book "How to raise singing insects" written in 1983 by Kimio ONO and Hideaki OGASAWARA (New Science Co., Tokyo). 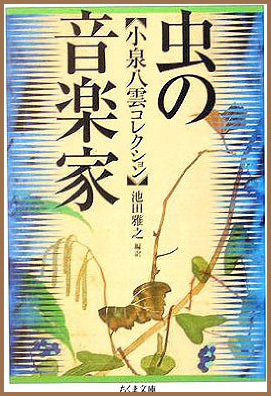 This book, which shows the bell insect (suzumushi) on its cover, contains natural history, rearing information and even poetry on five of the most favored cricket species and one katydid, and briefer sections on fourteen other crickets and katydids. 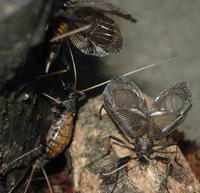 Raising singing insects is a popular past-time. Singing crickets are given as gifts to customers by some produce markets and to the friends of some cricket hobbyists. Electronic katydid in a paper covered plastic box cage, 1992, $9 US. The Berlin-based author Yoko Tawada recently remarked that one of the difficulties she faced when translating Kafka’s short story “Metamorphosis” into Japanese was that the associations Japanese people had with insects — even presumably giant beetles — were different to those of Europeans. 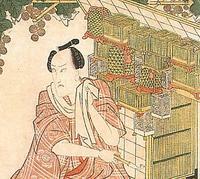 Tawada was alluding to the idea that Japanese appreciation of insects is one marker of Japanese cultural uniqueness. A temple in Kyoto called "Bell Cricket Temple"
Famous for the sound of this insect in autumn.
. san-shi no mushi 三尸の虫 . If a butterfly flaps its wings in the Amazon jungle, we might end up with a taifun over here in Japan. Chirping to me all the time. Photos on this page unless otherwise stated by Gabi Greve.
. Insect symbolism, a detailed collection to read in the Kigo Library !!! . This hokku was written in the 8th month (September) of 1822, when Issa was back in his hometown. It has nice enjambment, with the first line and second line connected without any break or pause. This kind of enjambment can sometimes be found in waka as well as renku. Issa may be using it to stress "even" (ni mo) at the beginning of the second line and to draw attention to two senses of naki- in the second line: 1) to cry or cry out and 2) to complain or grumble. Crying is what insects always do, though their cries sound lonelier and more soulful in the fall. They seem to be seeking shelter in the house and under its eaves, and there are so many now that the humans are beginning to cry out and complain, too. The first line may also be read "mushi no soto..." The character 外 means both "in addition to" (hoka) and "outside" (soto). If read as "outside," then there are ironically even more crying insects inside the house than outside in the thicket, and the second translation would be better. Perhaps Issa liked this ambiguity and the oscillation between the two readings it sets up. I think 'grumbling' is a 'grrrreat' word here, very insect sound-suggestive! "The original poem has an irregular syllable structure of 7-5-5. The rewrite is 5-7-5." Is this perhaps why Issa wrote a more 'standardized' version? For me, "house in the thicket" sets a different scene than "house in the trees." I associate "thicket" with "bamboo thicket," which makes me see a relatively claustrophobic setting for the house. "House in the trees" is more suggestive to me of a house perhaps in or near an orchard, or in a forest glade. This hokku appears in the manuscript that contains Issa's hokku for 1811, when Issa was 49, along with some renku and haibun passages. A later, unknown editor named it Waga haru-shuu (My Year's Collection). The preface is signed, "Issa, Boss of the Beggars of Shinano." 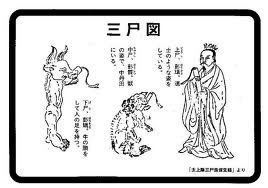 The verse regarded alone is a bit mysterious, but the context provided by this collection of hokku and haibun provides some hints that aid interpretation, so I will discuss this context below. Issa doesn't say whose house this is, but the context suggests it is the run-down house of a very poor farming family, probably near Edo. The thatched eaves of the deteriorating roof are crumbling and no longer protect the porch or the floor inside from rain or dew. Using hyperbole, Issa says the tiny legs of the gradually weakening autumn insects have trampled on the eaves and destroyed them, an image so exaggerated that ir seems to be ironic. In modern Japanese, koorogi means 'cricket,' but in Issa's time it was a general term for all the autumn insects, but they are all equally light and weak. Why such extreme hyperbole? In my reading, Issa is using both irony and social realism to talk about the opposite of the small, light insects. Although it would be dangerous for Issa to express this thought directly, he seems to me to be suggesting that it is the samurai class and the highly exploitative policies of that class, headed by the shogunate in Edo, that is causing the roofs -- and the lives -- of so many impoverished farmers to collapse. I believe this ironic reading is supported by the hokku and haibun surrounding this hokku. As in Oraga haru (My Year) and other haibun and hokku collections by Issa, individual hokku are often parts of larger image flows that influence how individual hokku are read. Sleeping late in the morning. . . This hokku was written in the 9th month (October) of 1825, when Issa was traveling around near his hometown. The autumn insect that walks over or brushes by Issa's face isn't specified, perhaps because Issa is evoking the realm of touch. In Issa's era, the word koorogi was a general term for all autumn insects that made chirping or singing sounds. After westernization took place, the meaning of koorogi narrowed to a single kind of insect: crickets. In Issa's time, however, crickets were called kirigirisu. To make things even more topsy-turvy, the meaning of kirigirisu changed in the modern period from cricket to katydid or grasshopper. This hokku is another example of the way Issa likes to experience and represent the world through the sense of touch. It would probably be an exaggeration to say Issa took pleasure in this experience, but he may well have enjoyed the chance to momentarily feel and communicate with another creature directly, with his skin. the cut marker YA is in the middle of line 2. The word NAKU can be used for the sound of an animal and the crying of humans.